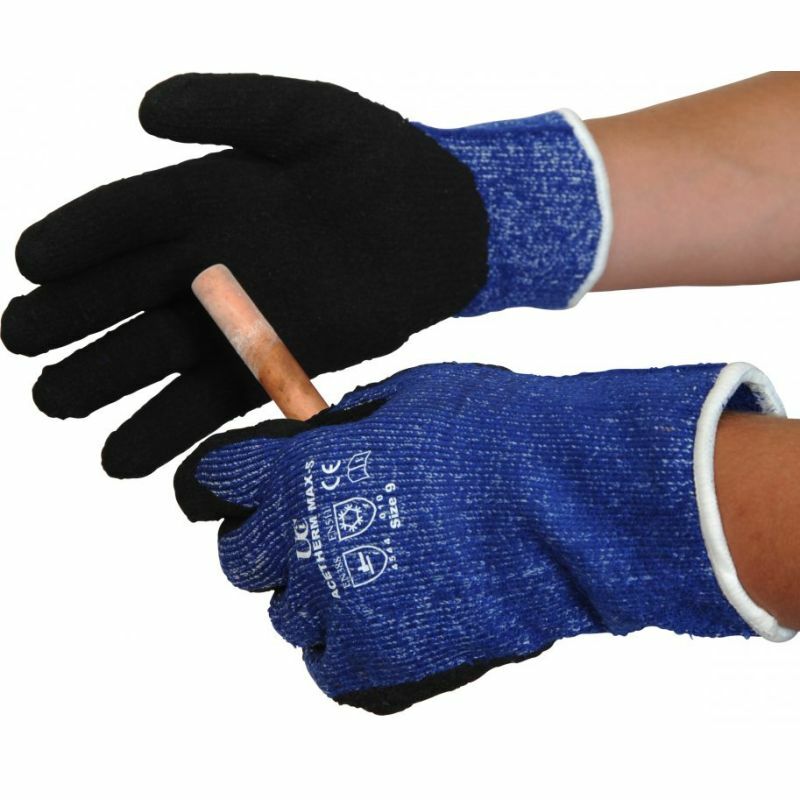 The AceTherm Max-5 Cut Resistant Gloves features an intrinsic blend of HPPE and high cut resistant yarns produce cut level 5 protection in a thermal glove designed for cold conditions with optimum 4544 EN388 results. The brushed acrylic liner of the AceTherm Max-5 Cut Resistant Gloves adds to comfort and insulation. 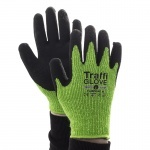 Black nitrile coating for durability and offers grip in oily and wet situations, making the AceTherm Max-5 Cut Resistant Gloves a great work glove. The nitrile coating of the AceTherm Max-5 Cut Resistant Gloves maintains flexibility and dexterity in low temperatures. 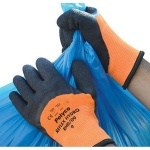 The AceTherm Max-5 Cut Resistant Gloves is an ideal glove for heavy handling in outdoor applications where cut resistance is paramount.